This is so awesome. And the whole ‘serious’ thing is better than Change and Straight Talk Express combined. Leave it to the citizens to pick up the cat litter. i lol’d. and i hate lolcats. 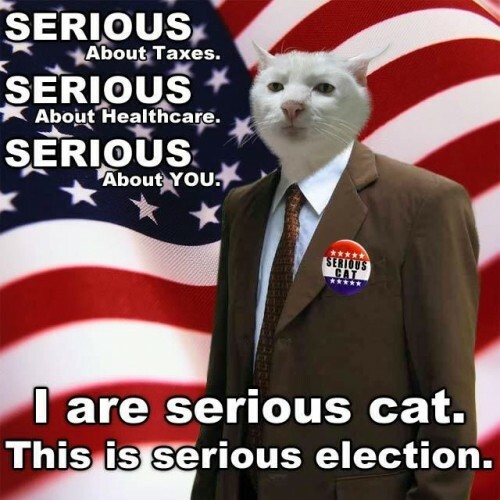 I seriously shoulda voted for Serious Cat. He’s just plain serious.